"Our God delights in helping us. He will enable us to perfect, not in the flesh, but in the Spirit, what was begun in the Spirit." Absolute Surrender develops an understanding of the need for "absolute surrender" to God. Murray provides concrete steps for bringing about such surrender in one's life. He also describes both the fruit of surrendering, e.g. true experience of the Holy Spirit in one's life, and the different "stages" one goes through on the "path to Christian liberty." Anyone not fully experiencing Christian liberty will be enriched by Absolute Surrender. The Read & Reflect with the Classics edition of Absolute Surrender includes the classic text in an easy to read adaption coupled with personal reflection questions, additional study questions, and prayer prompts for today's Christian reader. 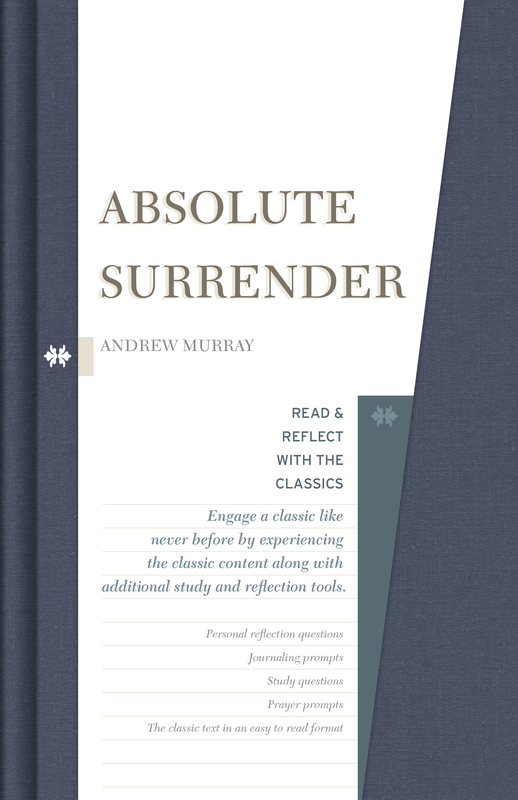 Absolute Surrender by Andrew Murray was published by B&H Books in June 2017 and is our 62110th best seller. The ISBN for Absolute Surrender is 9781462747634. Be the first to review Absolute Surrender! Got a question? No problem! Just click here to ask us about Absolute Surrender.